Gov. Andrew Cuomo told a group that he has an eagle feather from Saranac Lake. Recalling a special canoe trip with his youngest daughter, New York Gov. Andrew Cuomo inadvertently admitted violating a federal wildlife law by sharing how an eagle feather wound up on his fireplace mantle. "It's moments like that, that are just gifts forever," Cuomo said during an event last week in Saranac Lake, New York. (James Devaney/Getty Images) A bald eagle seen at the Bronx Zoo, March 22, 2018, in New York City. But now the governor may have to eat his words. He could face a fine of $100,000 for violating the Bald and Golden Eagle Protection Act, which prohibits non-Native Americans from disturbing, taking or possessing eagle parts, including feathers. "We have two options: put it back in the river or donate it to a U.S. Fish and Wildlife repository. 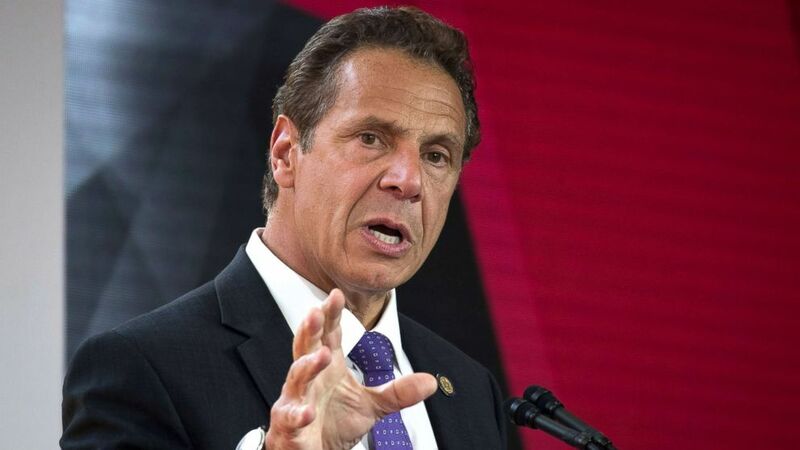 We'll do one or the other," Cuomo spokesman Richard Azzopardi wrote in an email to The Associated Press, which inquired about the governor's feather faux pas. (Drew Angerer/Getty Images, FILE) N.Y. Governor Andrew Cuomo delivers remarks during a dedication ceremony to mark the opening of the new campus of Cornell Tech on Roosevelt Island, Sept. 13, 2017, in New York City. Cuomo ruffled feathers last week when he announced an economic development grant for the village of Saranac Lake and recounted a story his daughter, Michaela, 20, recently told a friend about a trip she and her father took to the Adirondack Mountains' paradise. "One of the highlight moments was on Saranac Lake when we were in a canoe and we were taking a canoe trip and out of nowhere from one of the islands an eagle came out and like swooped down right next to us with this beautiful, graceful glide," Cuomo said while speaking at the historic Hotel Saranac. "And when the eagle was just about at the front of the canoe, one feather fell out, and we picked up that feather and I have it on my fireplace to this day." Apparently, Cuomo wasn't aware of the Bald and Golden Eagle Protection Act, which was enacted in 1940 and makes it a crime to "take, possess, sell, purchase, barter, offer to sell, purchase or barter, transport, export or import, at any time or any manner, any bald eagle ... [or any golden eagle], alive or dead, or any part, nest, or egg thereof." It was unclear how long he has had the feather and his press office did not immediately respond to ABC News’ request for comment. U.S. Fish and Wildlife officials referred questions about Cuomo's feather to the Department of Justice, which had no immediate comment. 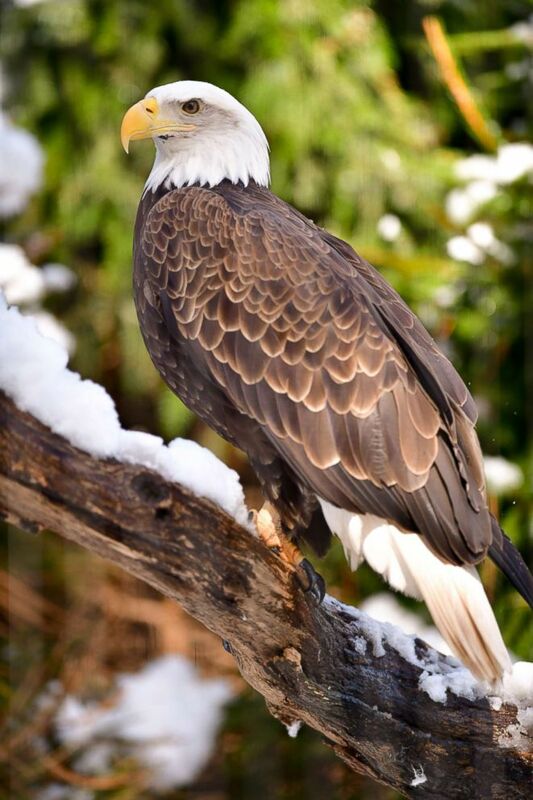 The bald eagle is not only a national emblem, the bird's feathers are used by U.S. Indian tribes in ceremonies and rituals. 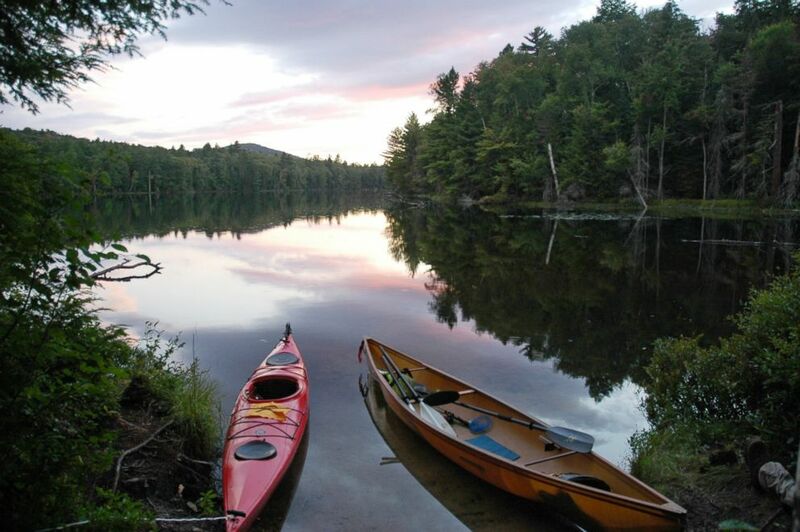 (Mary Esch/AP, FILE) In this file photo dated, Aug. 20, 2012, a kayak and solo canoe rest at a campsite on East Pine Pond in the Saranac Lakes Wild Forest at Saranac Lake, N.Y. The U.S. Fish and Wildlife Service established the National Eagle Repository in the early 1970s at the Rocky Mountain Arsenal National Wildlife Refuge near Denver to receive and store eagle parts, and redistribute them to registered Native American tribes to use in ceremonies, according to the agency's website. Over the past five decades, federal protections have helped the bald eagle bounce back from near extinction. The U.S. Fish and Wildlife Service estimates there are nearly 10,000 nesting pairs of bald eagles in the United States, based in the most recent population figures.